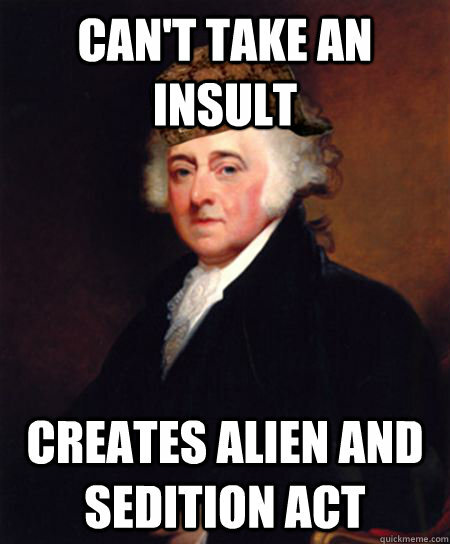 Click on the banner above to go to the John Adams homepage at the University of Virginia's Miller Center. 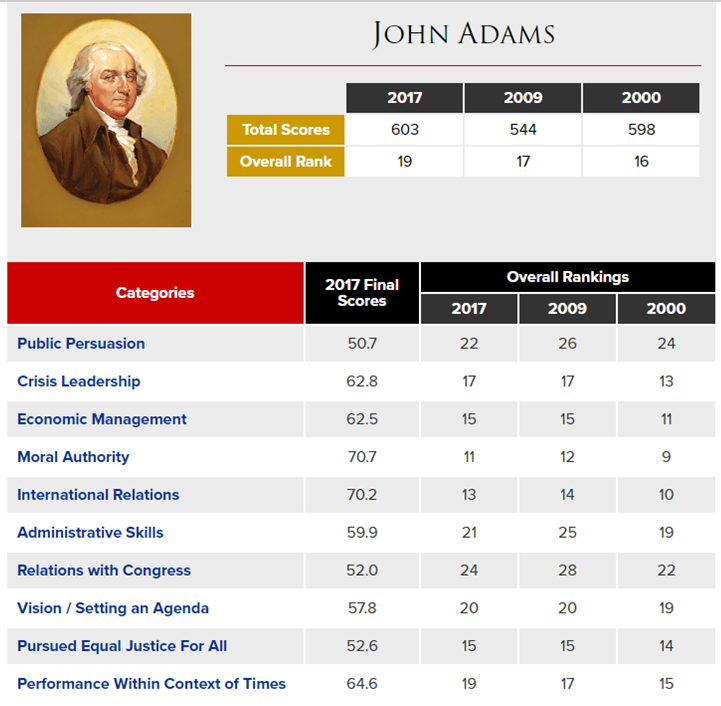 Click on the buttons below for in-depth information about J. Adams' Presidency. Adams was the first President to reside in the White House after the nation's capital moved from Philadelphia to Washington, D.C. Adams moved into the building in November 1800... while the paint was still wet. Abigail Adams had to hang her laundry in the East Room to dry. The building was originally referred to variously as the "President's Palace", "Presidential Mansion", or "President's House". The earliest evidence of the public calling it the "White House" was recorded in 1811. A myth emerged that during the rebuilding of the structure after the Burning of Washington, white paint was applied to mask the burn damage it had suffered, giving the building its namesake hue. The name "Executive Mansion" was used in official contexts until President Theodore Roosevelt established the formal name by having "White House–Washington" engraved on the stationery in 1901. 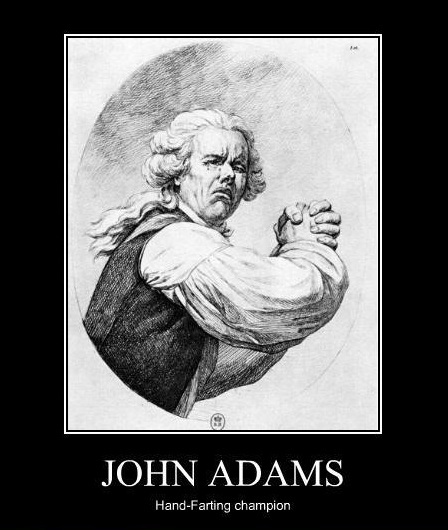 "John" Adams and "Samuel "Adams (the famous brewer and trouble maker) were second cousins. This meant they had the same great-grandfather and grandmother. 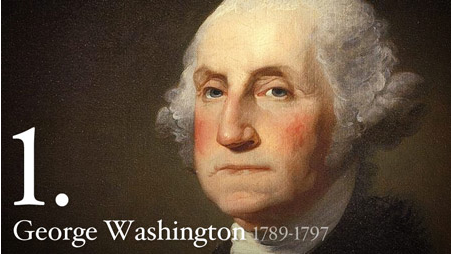 Seventeen U.S. Presidents did not have middle names. 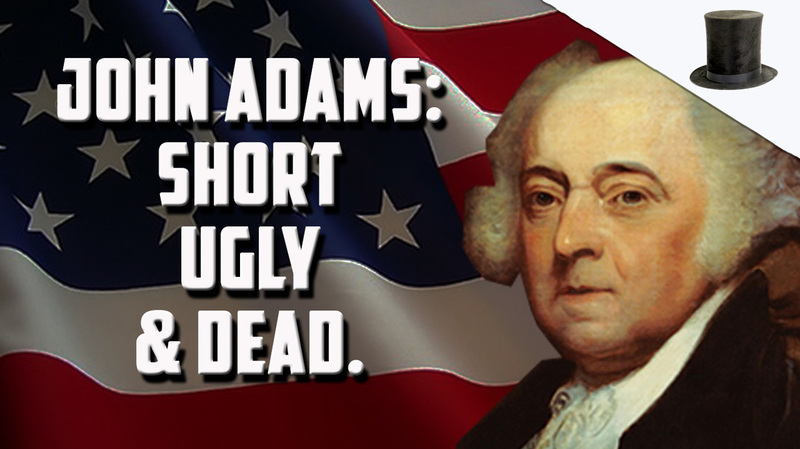 Adams was one of them. Adams' son, John Quincy Adams, became the 6th President. Just like his father, John Quincy would only last one term. George H. W. Bush and his son, George W. Bush, are the other father-son Presidential combo. 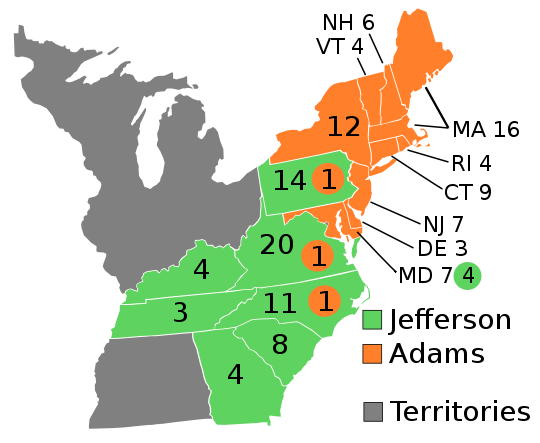 At the time of the Election of 1796, candidates for President and Vice President did not run by party but ran individually. 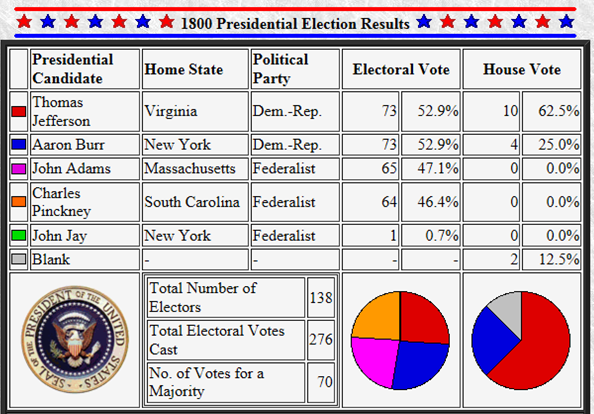 Whomever received the most votes became President and whomever picked up the second most was Vice President. 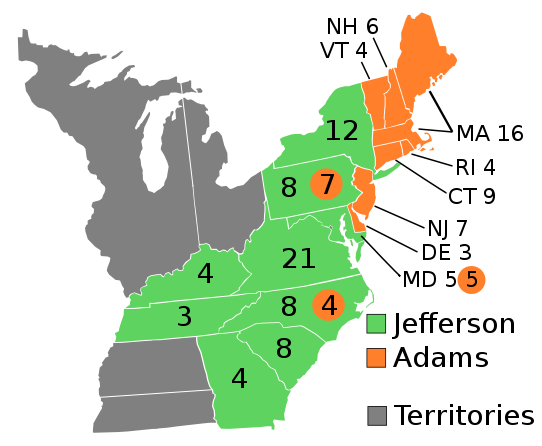 Even though Thomas Pinckney was hoping to be Adams' Vice President, Thomas Jefferson came in second... just three votes short of winning. 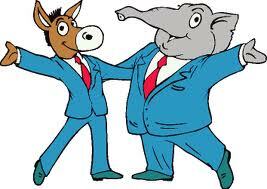 They served together for four years, the only time in U.S. history that political opponents served in the top two executive positions. 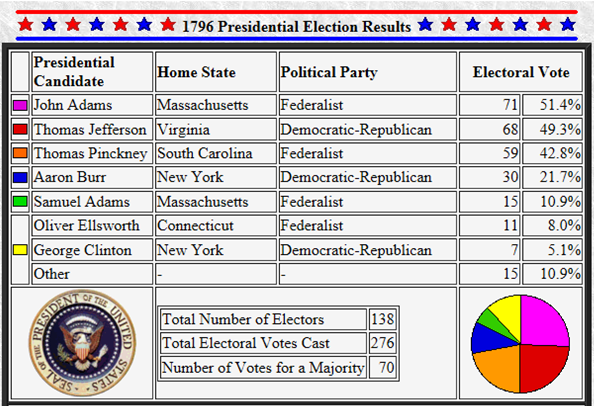 (Adams was a Federalist and Jefferson was a Democratic-Republican.) The 12th Amendment fixed this before the next election. 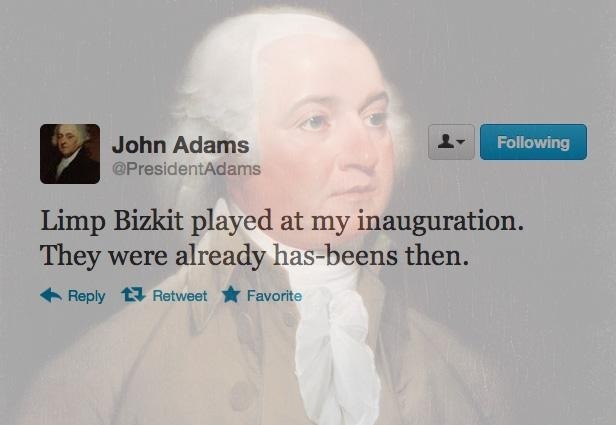 Adams did not attend the inauguration of Thomas Jefferson, whom he had lost to in the Election of 1800. He was still disappointed in his loss and was also grieving the death of his son, Charles. 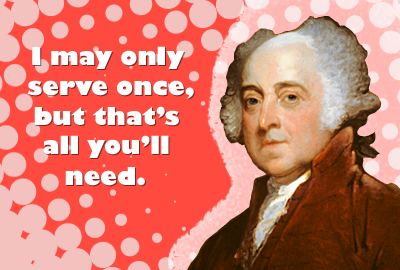 Despite being political rivals, Adams and Thomas Jefferson became good friends after their Presidencies. As the only two Presidents to sign the Declaration of Independence, both Adams and Jefferson died on the same day... July 4, 1826... the 50th Anniversary of the country's independence. 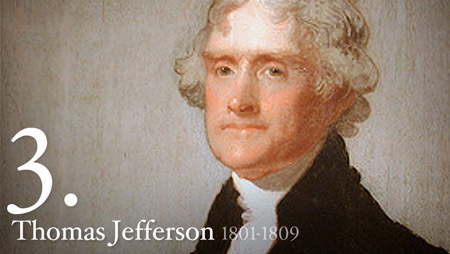 Adams' dying words were "Thomas Jefferson survives." Jefferson, however, had passed a few hours earlier. Adams is the third longest living President (aside from the former Presidents that are still alive today), dying at 33,119 days (or 90 years & 247 days). Ronald Reagan is #2, having lived 34,088 days (or 93 years & 120 days). Gerald Ford took the top spot at 34,133 days (93 years & 165 days).